Silly holidays. Firsts. Sunrise & sunset. And the small moments that make life beautiful. They define a part of my heart that makes me me. They fill the space between the big celebrations, and somehow, make them brighter. 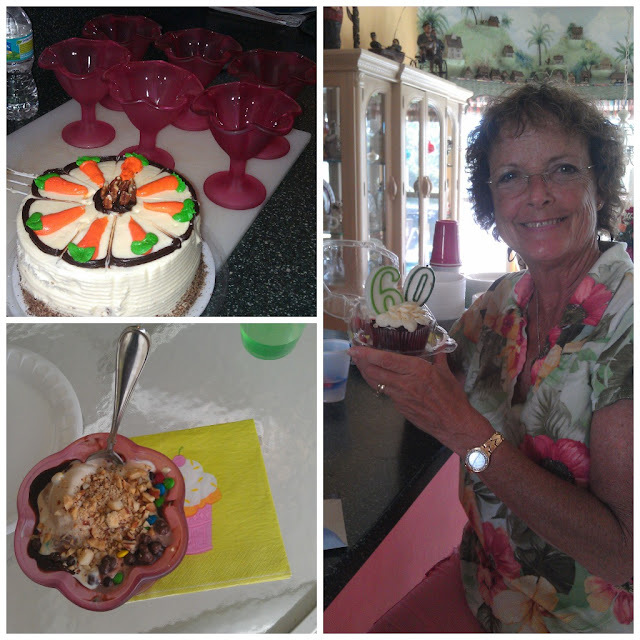 Fun laced every part of the day... kayaking, swimming, visiting, dinner and birthday dessert. Sometimes I just have to shake my head and laugh at her... especially when she cannot get enough of her birthday Flubber. And among the cascades of laughter, there was a happy tear or two as she shared that Grampa said she should book another trip to Africa. My eyes filled because I know... I know that Africa calls to her heart, just waiting for her to return to its beauty. Later in the day, we all squeezed in around the blazing candles to sing and bear witness to wish making. And along with the love and laughter, there was more than enough dessert. Cake and ice cream sundaes... oh yes, we know how to celebrate! It was a beautiful day from start to finish. Celebrating her sixty years was pure joy. There may be a lot of life behind her, but when I look into her eyes I can tell, she has so much more living to do. More adventure to seek. And I truly believe what lies before her is pure joy! Oh, my gosh. 60 is SO not old!! One of my best friends turned 60 in July, and I can hardly believe it. Why? Because she's just 11 years older than I am! You DO know how to celebrate. Well done! I'm with Richella. I'm only 11 years younger than her so it's not old at all! Seriously, you can tell she's young just by looking at your pictures. 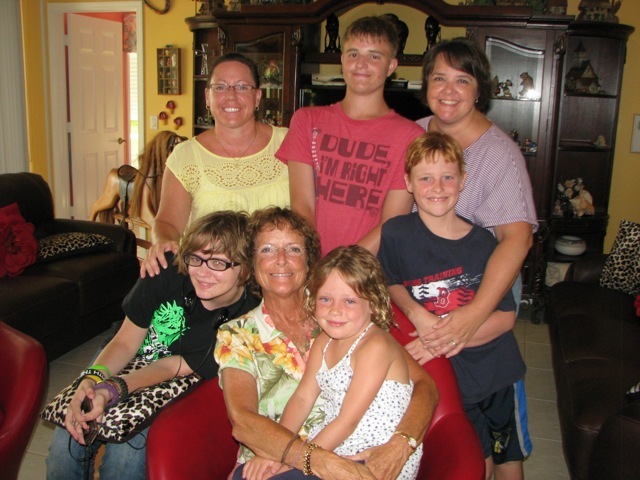 I need you here to help us celebrate my parents' 50th anniversary and Jacob's 21st birthday. Ack. I'm such a slacker at planning anything nowadays. Well, 60 is the new 30. So.....I can't wait. AND your MOM makes 60 LOOK wonderful and inviting. I'm thrilled to read that she is embracing it....and why the heck not?!?!? Happy belated to your sweet Mama!